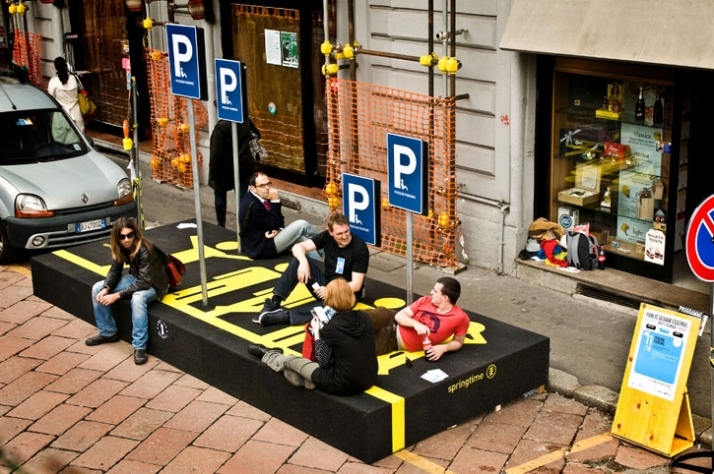 Have you ever thought of parking spaces dedicated to people rather than cars? This is the subject of the Public Design Festival, which will be held in Milan from April 13th to 18th 2010 (during the famous Milan design week). It is the second edition of the international Duepercinque contest, following the success of its first edition in 2009 that counted over 800 designers from all over the world. This year the aim of the competition is to make the public opinion more aware of the public space as an important context for projects. Public spaces are extremely important in advancing a city's quality of life. 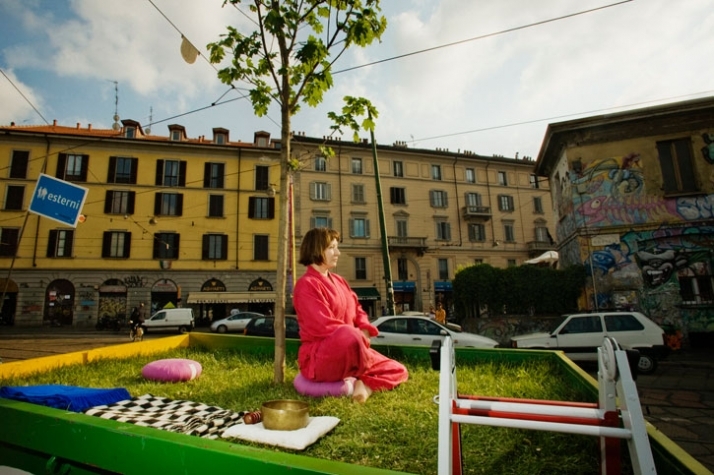 A public space is a place to express yourself, a place of social interaction where people meet, get together, exchange ideas, integrate and experiment; it is a place where a sense of community is built. This is exactly why the competition's subject is dedicated to their creative transformation. This year's submissions end on February 10th. So, if you are over 18 and with an interest in art, design or if you are communication students, academics, professionals, as well as artists you may submit your proposals. The competition's purpose is to offer all designers the opportunity to express their creativity in a festival which represents the public space in a prestigious showcase, such as Milan’s Salone del Mobile. 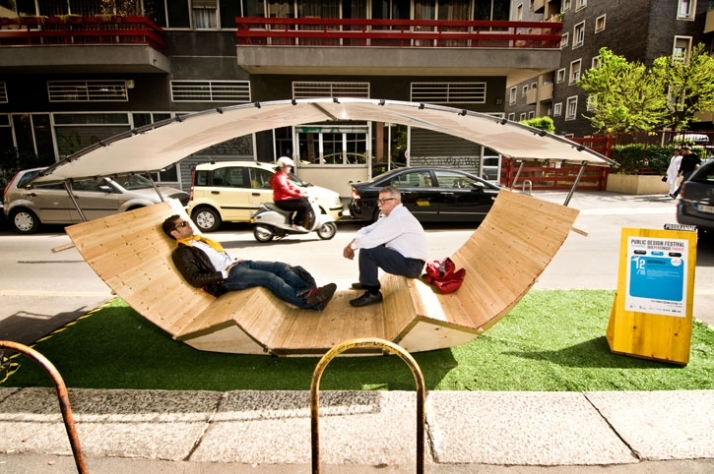 The only limitation is that the area occupied by the project fit in a urban 2x5-metre parking space. 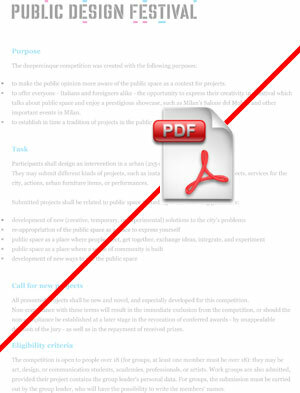 The projects submitted could be installations, communication projects, services for the city, actions, urban furniture items, as well as performances. Ideally, the ideas and projects generated through this competition can help towards the solutions of a city's problems and be useful to citizens, students, children, old people and consequently to the many foreign visitors coming to Milan. Like last year, this edition’s winning projects will be set up along an urban path that will be visible and usable by all citizens and visitors. The exhibition areas will have to be designed in order to become models and symbols of culture in the public space. 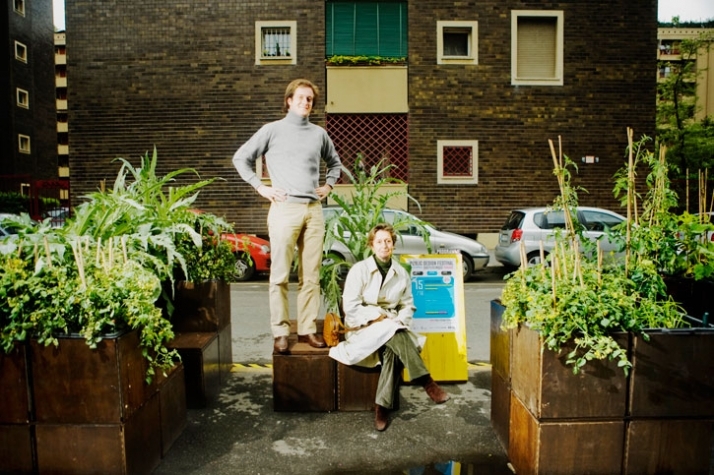 So, if some of you meet the eligibilty criteria and have fresh new ideas on the transformation of a public parking space dedicated to people... do submit your ideas!